Review: Good Together by C J Carmichael + Giveaway – Escape Reality, Read Fiction! Mattie’s twin daughters have flown the nest, and she and her husband feel like strangers. The life she’s known is starting to fall apart. She can’t even count on her gorgeous neighbour, Nathaniel Diamond, any more. Nat was always there for her before, but now he’s suddenly started avoiding her. Is there something that he needs to tell her? I absolutely read Good Together in one sitting. I couldn’t put the story down, because I had to find out what was going to happen next. Although I could guess where the story was going to end up, I empathized with Mattie’s journey, even when I wanted to shake her about how she got into some of her pickle. Good Together isn’t so much a romance as it is women’s fiction. The real meat of the story is in Mattie finding out that her newly empty nest is only the beginning of the number of ways she needs to re-invent herself. Mattie always thought that when her twins went to college, she and her husband would have more time together. As much as she hated the thought of her girls leaving home, she was the one who encouraged them to explore new worlds. It was time for them to leave the nest and spread their wings. But Mattie believed that the nest would always be there whenever they came home. Instead, almost the minute Mattie leaves her daughters at the airport, she discovers that her husband is leaving her for another woman. That’s not all, he’s selling everything–the ranch, the horses, the house. And he can do it, too. It’s his family’s place, and Mattie never got her name on anything. It turns out that Mattie loved the place a LOT more than her husband did. He wastes absolutely no time in selling her beloved horses, and putting the ranch on the market. Mattie doesn’t merely withdraw, she downright collapses. It takes her a while to pick herself, and even longer to “lawyer up”. She gets a lot of excellent help from Nat Diamond, her nearest neighbor. Once upon a time, he was in close to the same bad place that Mattie is now; he knows how she feels. But Mattie doesn’t have a clue about the way that Nat feels about her. And has always felt. He tries to keep his feelings under wraps, because Mattie needs a friend, and he doesn’t want to be merely a rebound. Just when Mattie is ready to think about forever with someone other than her ex, Nat decides that he no longer has a forever to give. It’s up to Mattie to change his mind. Escape Rating B+: Although the side-characters are terrific, Good Together is Mattie’s story. The title is just a bit ironic, because Mattie first has to figure out how to be “good alone” before she’s ready to be “good together” with anyone else. We’ve met Mattie’s family before, not her kids so much as her birth family. 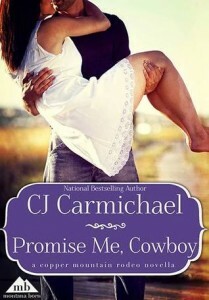 Mattie is the sister of Sage Carrigan, the heroine of the lovely Promise Me, Cowboy (reviewed here). Sage’s happily ever after was also a second-chance at love story. It seems like the Carrigan girls need a couple of tries to get it right. The way that Mattie left herself legally unprotected after her ex leaves broke the willing suspension of disbelief for me a bit. I could understand (barely, I admit) why she hadn’t gotten her name on everything back when they first married, but after he left and started selling their stuff, not so much. Even as devastated as she was, that lack of self-preservation seemed more 20th century than 21st. Although Nat is incredibly helpful, even at the beginning, it’s the women in this story that stand out. Seeing the girls becoming women who are strong and can help their mother find her strength again was awesome. Even better, the way that the Carrigan sisters pull together and support each other was the heart of the story for me. I’m looking forward to seeing how the other two sisters reach their happily ever after. 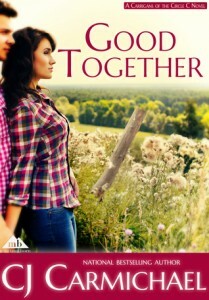 CJ and Tule Publishing are giving away an ebook copy of Good Together. To enter the giveaway, just fill out the rafflecopter below. 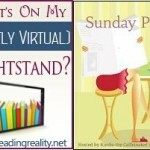 If you want another chance at a copy, there is a book blast going on right now at Goddess Fish. 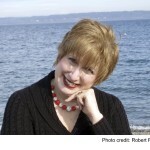 Some of Robyn Carr’s books have some great second chance stories and her books are some of my favorites. The one which I remember most is Exclusively Yours by Shannon Stacey. It was such a great book!